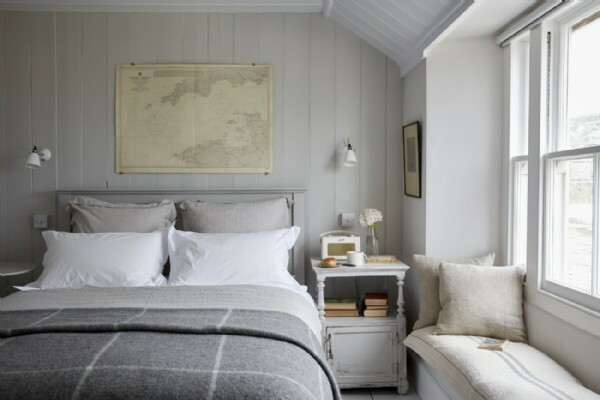 Perfectly placed right on the water's edge in the quintessential harbour of Mousehole (famously named 'the prettiest village in England' by Dylan Thomas), The Herringbone cottage is perfect for romantic breaks by the sea in West Cornwall. 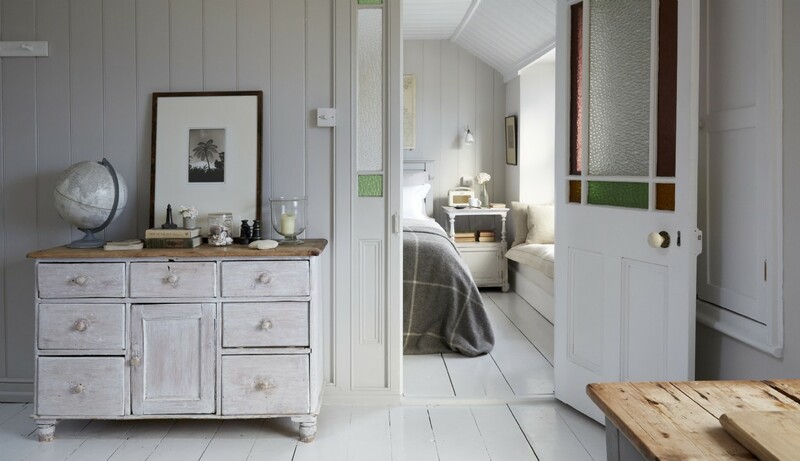 This luxury fisherman's cottage started life as a net loft and oozes rustic coastal style. 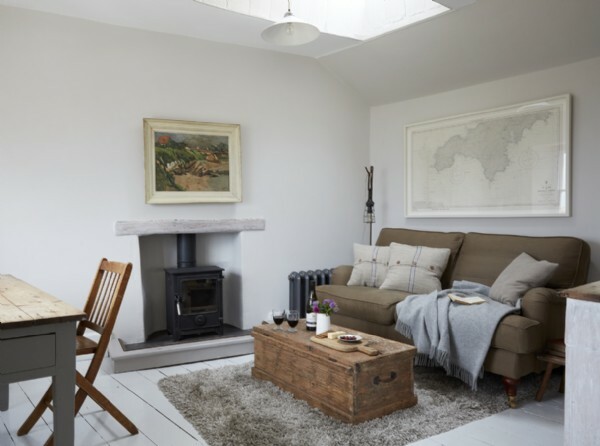 Idyllically positioned luxury self-catering cottage right on the water's edge in Mousehole with the call of the gulls overhead, this is truly as close as you get to the water without getting wet. 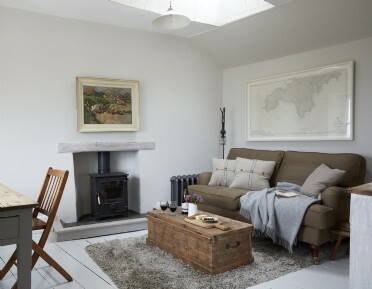 In winter months cosy up on the high pile rug or recline in the marshmallow sofa as the fire from the log burner crackles and melts away the wild winter weather outside. 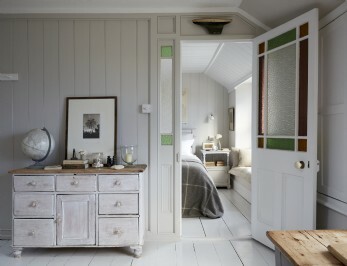 And if you like this, you'll also love The Oyster Catcher. 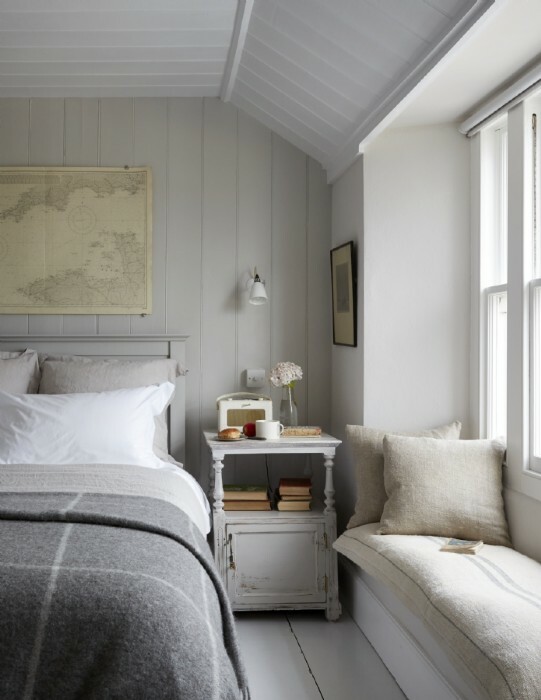 The sumptuous luxury king-size bed is adorned with superior goose down duvet, super-comfy pocket sprung mattress and crisp Egyptian linens. 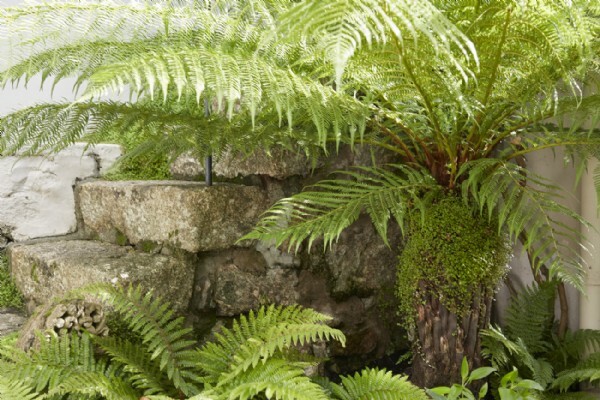 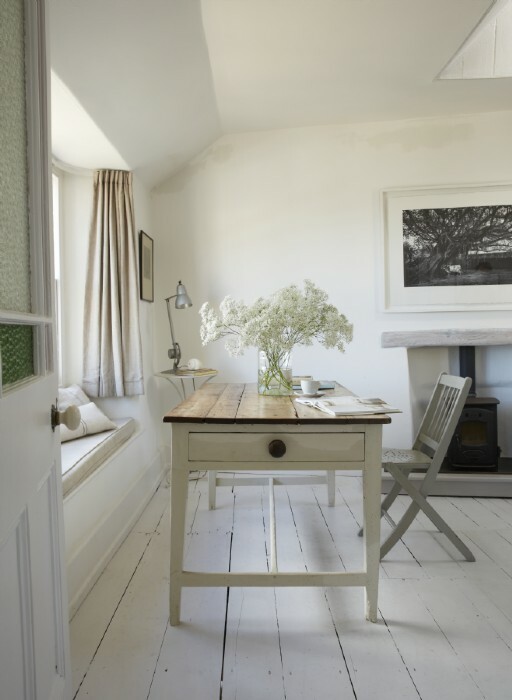 Snug alcoves are an enchanting advantage point to watch the Cornish life past you by with an enthused everchanging character. 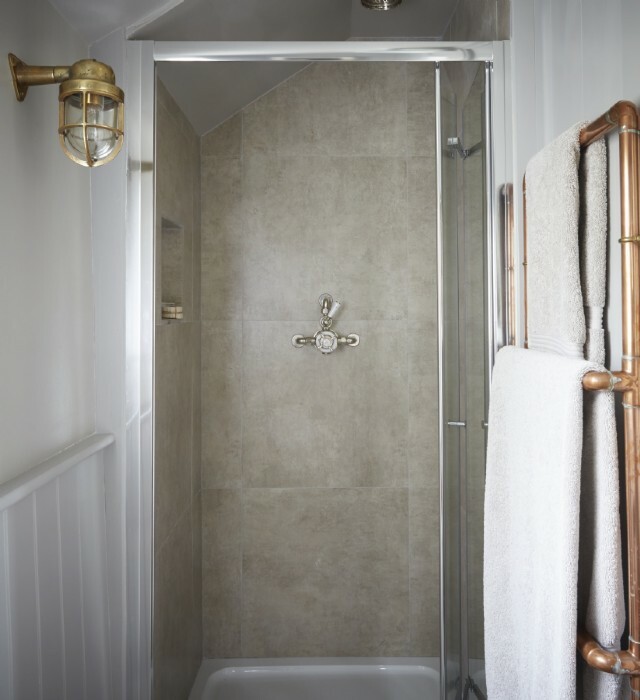 The cosy en-suite bathroom has a powerful shower, heated flooring and luxurious soft cotton towels. 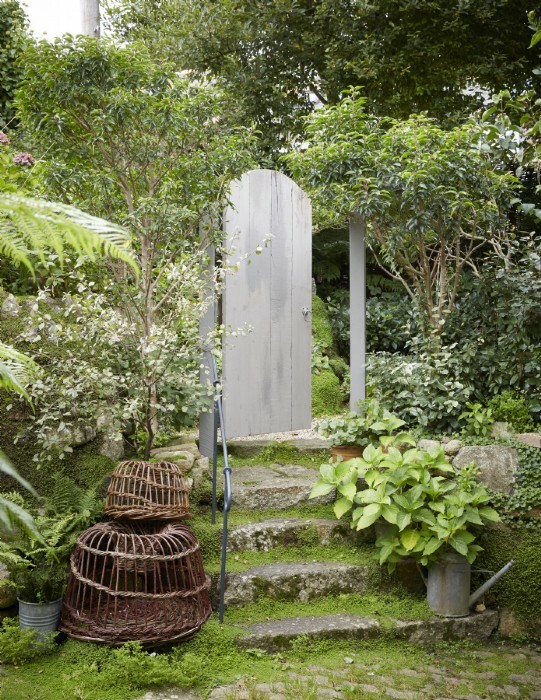 There is a small shared courtyard and terrace on access to this Mousehole net loft. 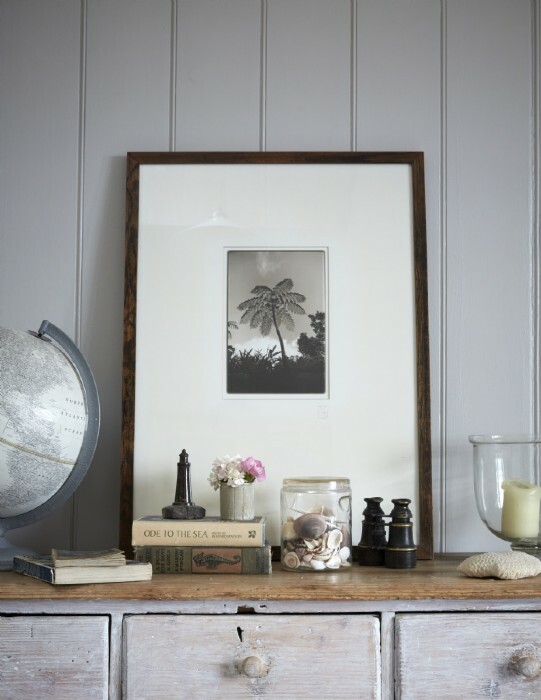 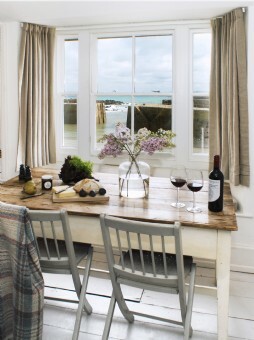 In summer months, throw open the windows to welcome the salty summer breezes in along with the sounds of the harbour. 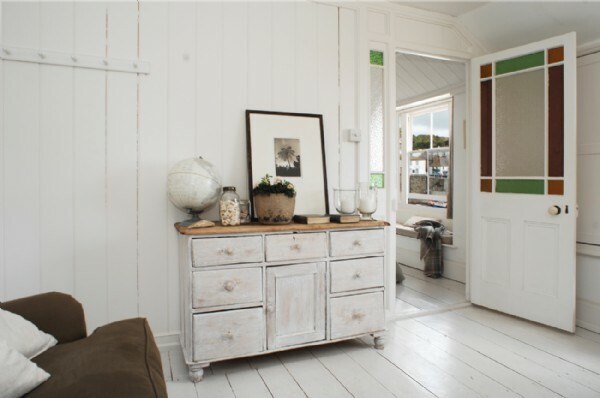 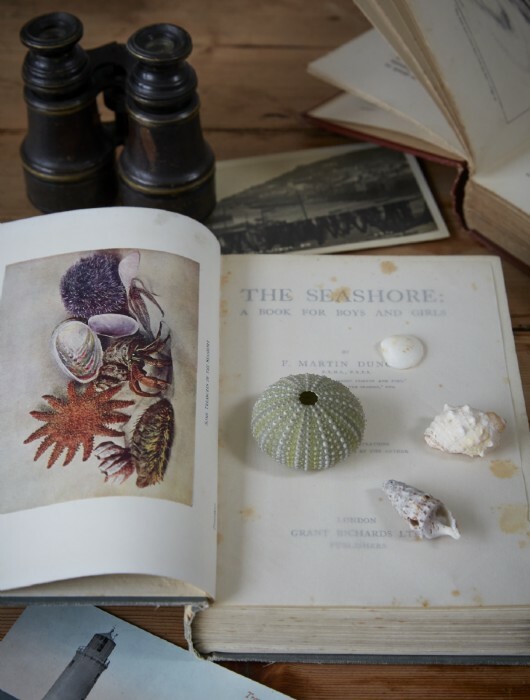 Wander into the town and experience the delights of a traditional working Cornish harbour town abuzz with beach and boat life, The Herringbone is in a very special location indeed. 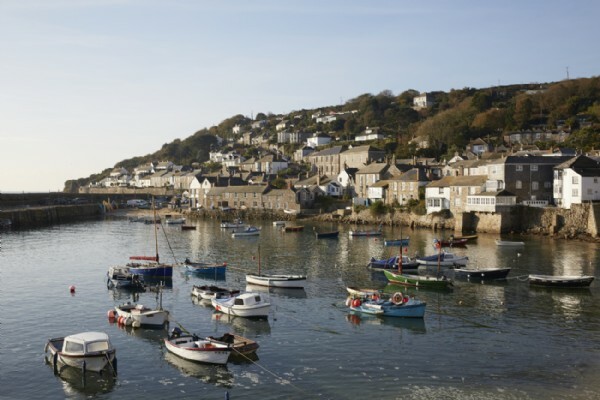 Step outside your front door and take a mosey around the characterful harbour town of Mousehole. 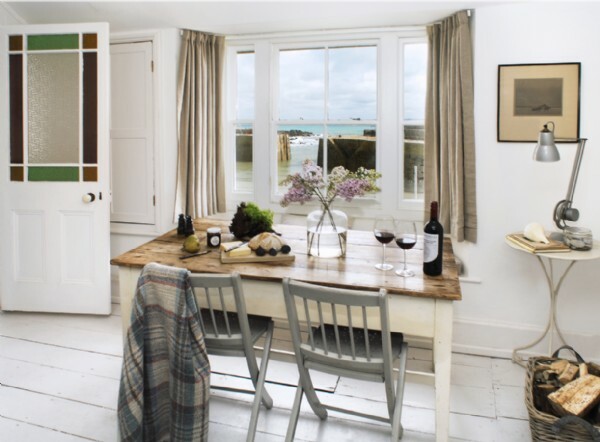 Or if you can't bear to leave the peaceful haven of your luxury abode, idly pass the time perched on the generous window seats, gazing at the harbour and out across the Atlantic as the fishing boats pootle by the fairytale castle of St Michael’s Mount in the distance. 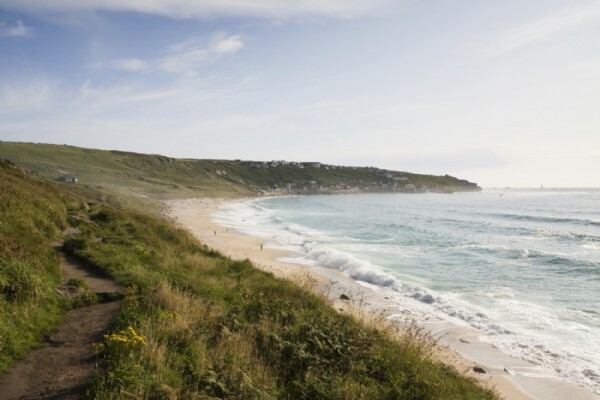 Take your pick from any one of the stunning beaches and enjoy a good old fashioned day at the seaside complete with cucumber sandwiches and homemade pink lemonade. 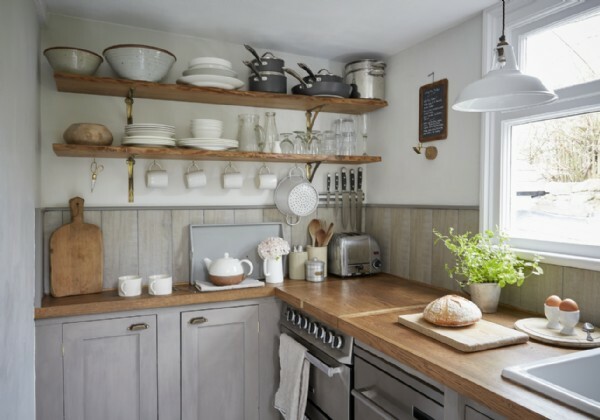 The cottage includes oven, hob and dishwasher but please note there is no washing machine or freezer. 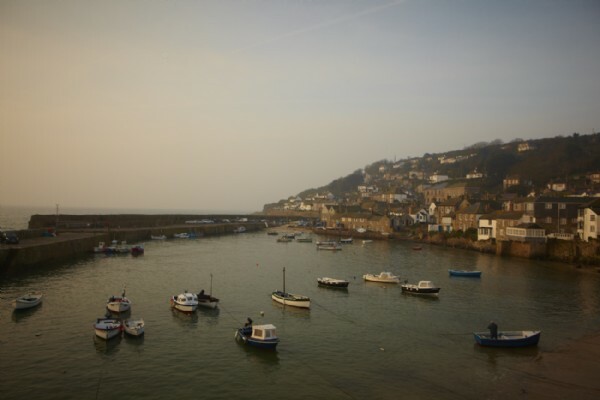 Guests can park in the harbour car park (£3 per day). 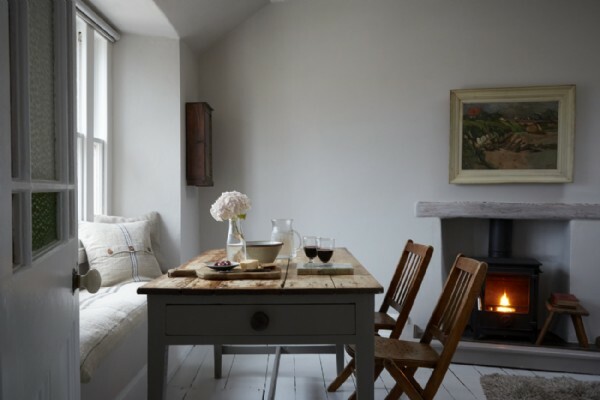 Please note there is no cot or highchair but guests can bring their own. 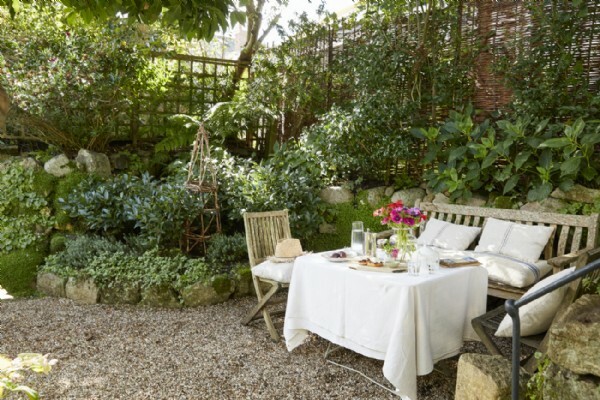 The garden is shared with The Oyster Catcher. 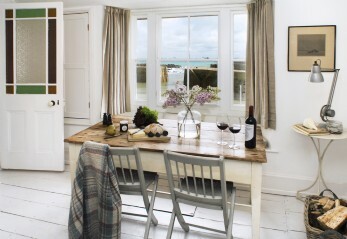 Style: The theme at this luxury Mousehole Loft is tasteful elegance with luxurious comfort all throughout. 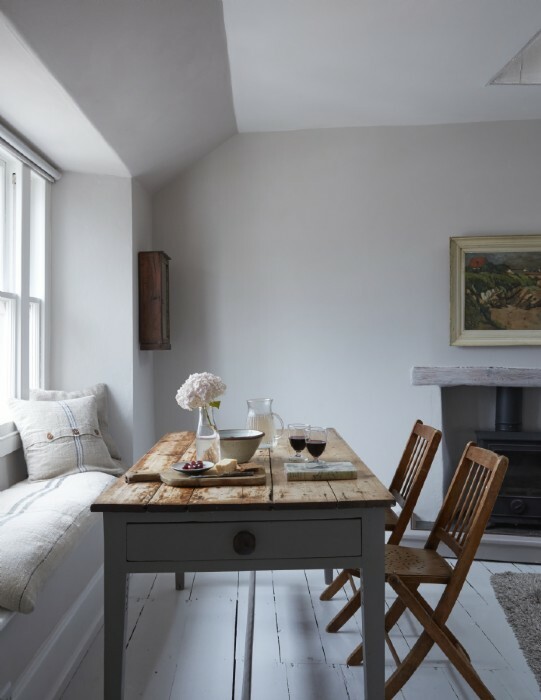 Ethereal and enchanting, the chalky whites and muted hues lend a peaceful ambiance to this most exquisite of homes. 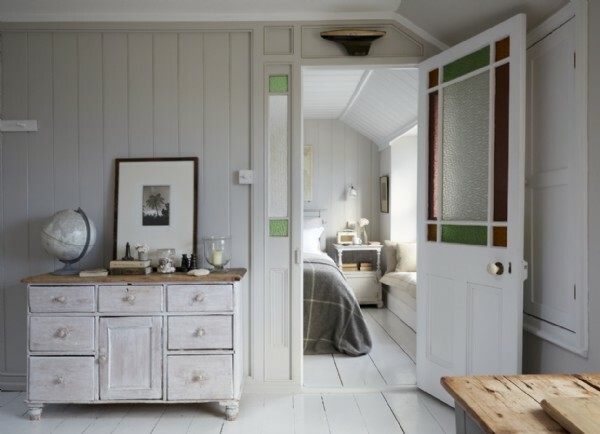 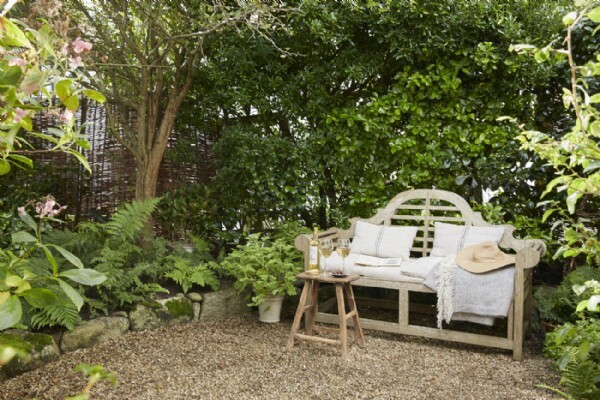 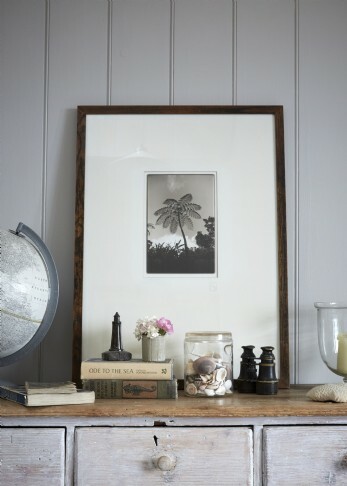 This stylish romantic cottage is the perfect seaside pad and I absolutely adored everything about little Herringbone! 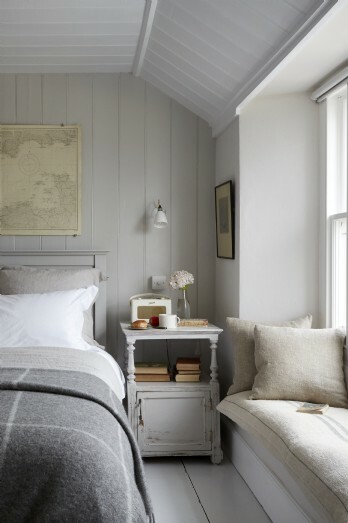 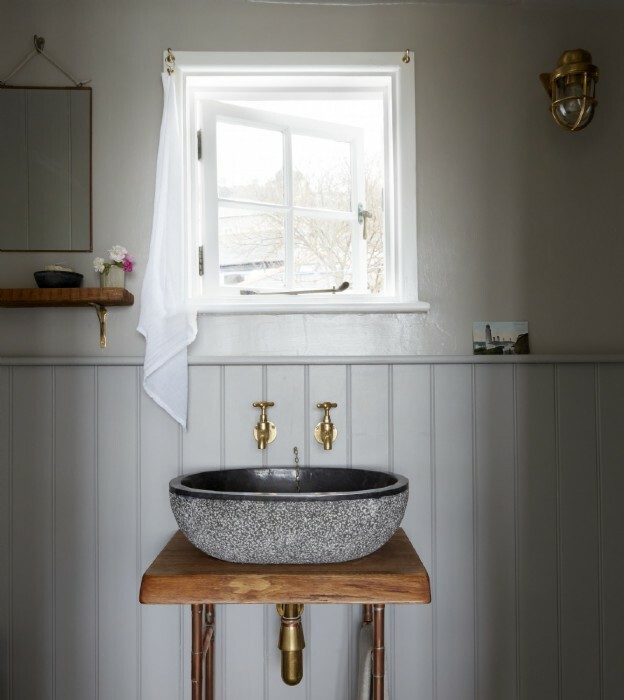 From the squishy bed, to the sea views and muted calming interiors; this seaside retreat is top of my list of ´must go back to´ cottages in the country-I adored everything about it! 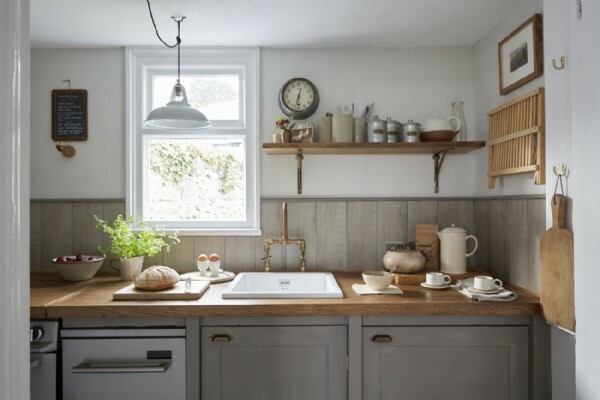 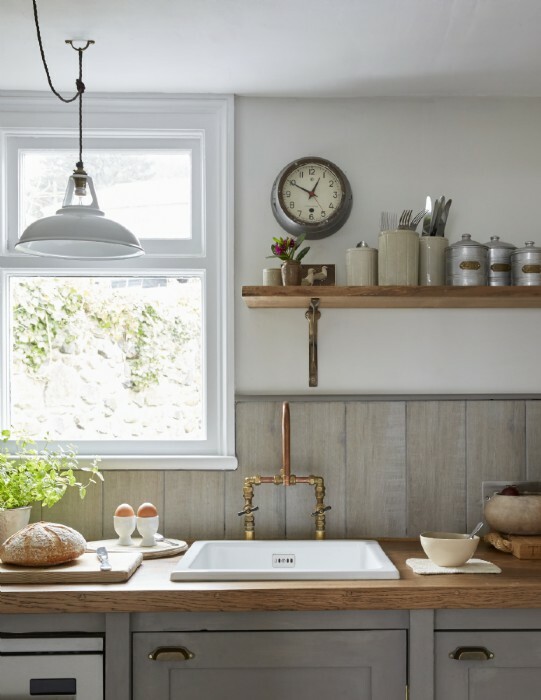 The hand built galley kitchen is small yet perfectly formed; with Smeg dishwasher and Dualit toaster, the galley kitchen is just perfect for rustling up simple suppers and light lunches for two. 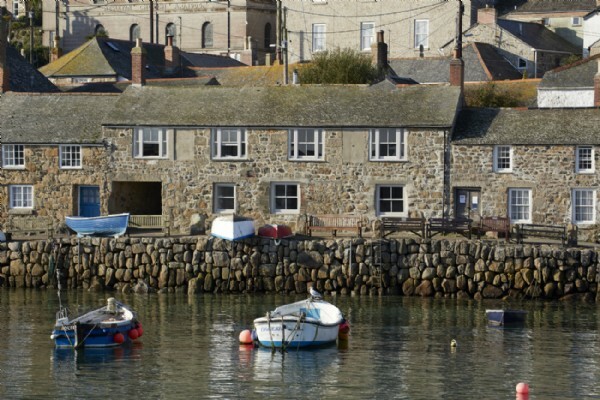 Stroll out to the harbour-front where the fishing boats land, and select the day's freshest catch before returning to your self-catering abode to create a lip-smacking romantic supper using the finest local fare. 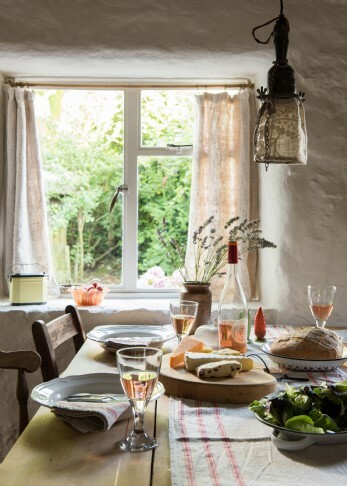 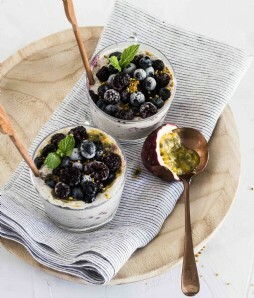 If you'd rather spend your cottage break indulging in the little luxuries, let an in-house chef prepare a mouth-watering meal for you and your party (on prior request and subject to an additional cost).